​In the mid-1700’s, many Amish found their way to North America and settled in Pennsylvania and later Ohio. 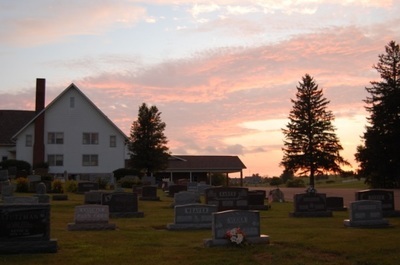 By 1828, there were 5 Amish churches in Holmes County. One of them was called Martins Creek Amish Church, named after the creek that ran along the banks of Edward Martin’s settlement. By 1860, Martins Creek Amish church had around 60 members. 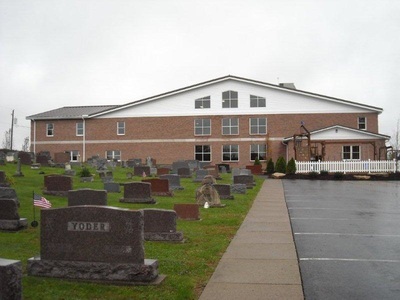 During this time, there were differing opinions in the Amish church over issues like lightning rods, use of church buildings, photography, insurance, lotteries, and musical instruments. ​In 1865, 24 out of the 60 members chose to leave the Martins Creek Amish Church and begin the Martins Creek Amish Mennonite Church. Among them was Samuel Mast, who was ordained to be their first bishop. They first met in homes, but in 1875 they built their first meeting house on a piece of land (where the current church stands) donated by Samuel Mast. The meeting house was 25 ft by 48 ft, the approximate size of the current sanctuary stage. ​In 1906 the church building was moved off site and a new building was built that was twice the size. Over the next 50 years, many people have come and gone, but there has always been a desire to live out the gospel and share it in this small community. Martins Creek led a series of revival meetings, Sunday School, and Bible Schools that helped start churches like Berlin Mennonite, Moorehead Mennonite, Flat Ridge, and Millersburg Mennonite. The church was remodeled in 1956, once again doubling the size of the church building, adding a balcony, kitchen and classrooms. 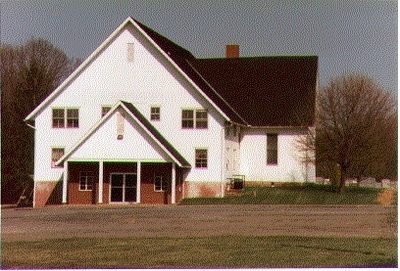 In 1965, 100 years after the church began; the fellowship hall (currently used as a youth center) was built. ​​At the time, Roman Stutzman was Martins Creek’s minister. For 27 years Roman served as minister of Martins Creek. Roman was loved by the congregation and revered in the community. He was known for his messages, as well as his benedictions. ​After Roman, Martins Creek was blessed with many other pastoral leaders, including Carl Wiebe, who served as pastor for Martins Creek for 23 years through the 1990’s and 2000’s. Carl brought a great deal of growth to Martins Creek and as well as two major building projects. In 1995 a new sanctuary was added onto the old church. 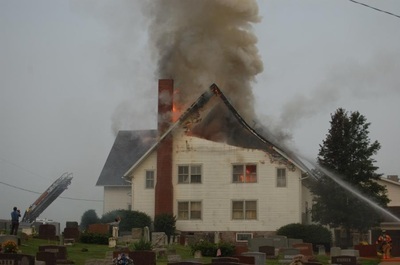 On July 13, 2010, the church building built in the early 1900s burnt down while still attached to the new sanctuary. Firefighters were able to save the new sanctuary. Martins Creek used this opportunity to build on the now existing Family Life Center. ​In 2001, Jay Conn became an associate pastor of Martins Creek. He served in this role for four years before being called to Beaverdam Mennonite for seven years. In 2012, he returned to Martins Creek to become the Lead Pastor. Glenn Nofziger later joined him as the associate pastor in 2015.